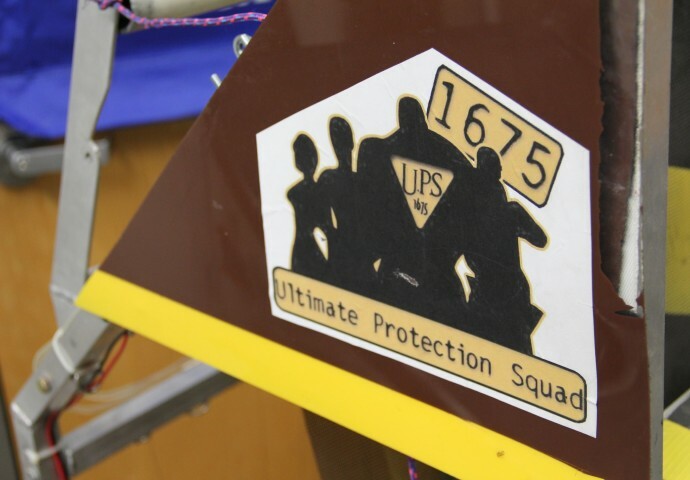 Team 1675 is the name given to the group by FIRST Robotics Competition, although the team calls itself the "Ultimate Protection Squad." More than 40 students and 10 mentors make up the team. 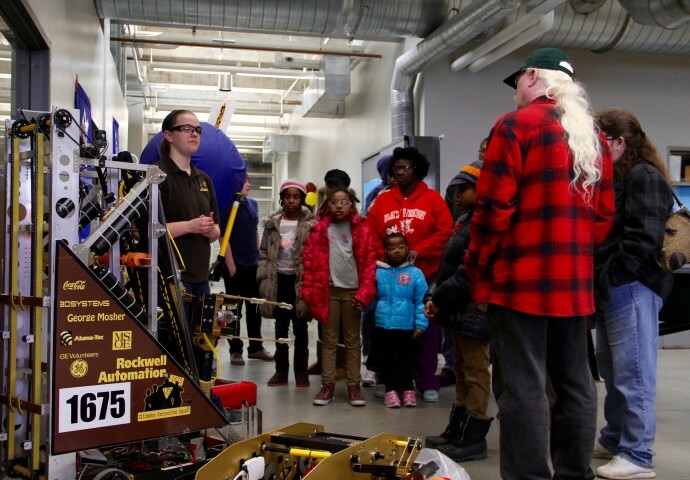 The public took tours of the robotics lab and got to watch team members practice for upcoming competitions. Pauline Scharping presents previous robots the team built. Scharping is a first-year engineering student at Milwaukee School of Engineering but returned as a mentor. Being on the team "was definitely the highlight of my high school career," she said. Team 1675 will be competing in St. Louis March 10-12 and in Milwaukee at the UWM Panther Arena March 23-26. 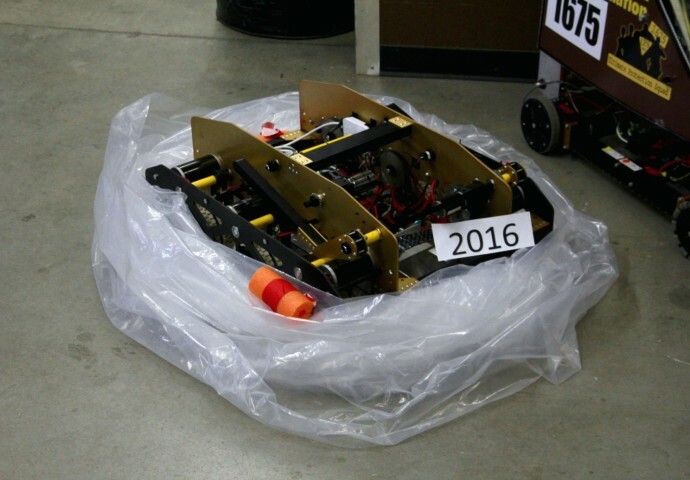 Their robot has to be bagged and sent to the competition. Each year, the competition has a different set of obstacles, announced during a webcast in January. The team has six weeks to build the robot. 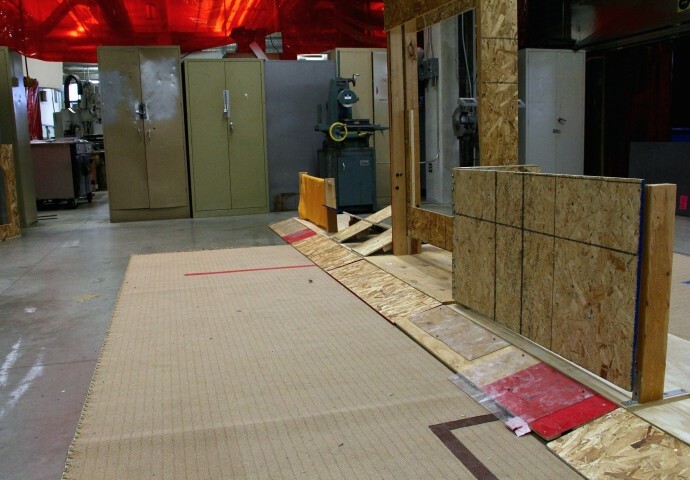 To practice maneuvering the course's obstacles, the team built a model comparable to the competition robot. 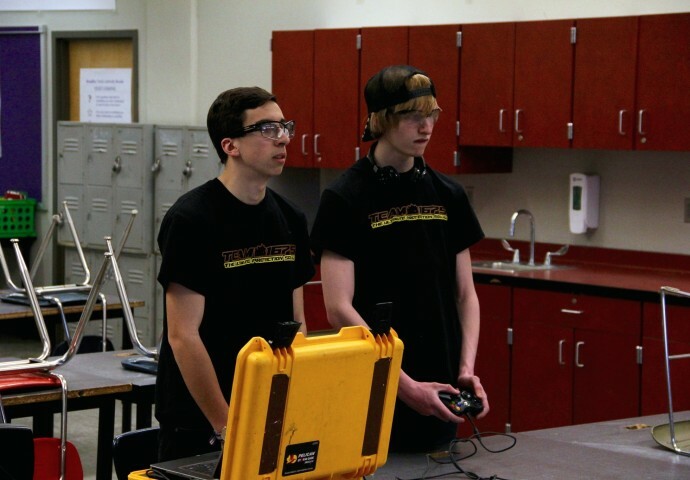 Alaric Mueller (left) and Andrew Kurth practice driving the robot. Mueller has been a team member for two years. Kurth is completing his fourth year on the team and plans to study engineering in college. 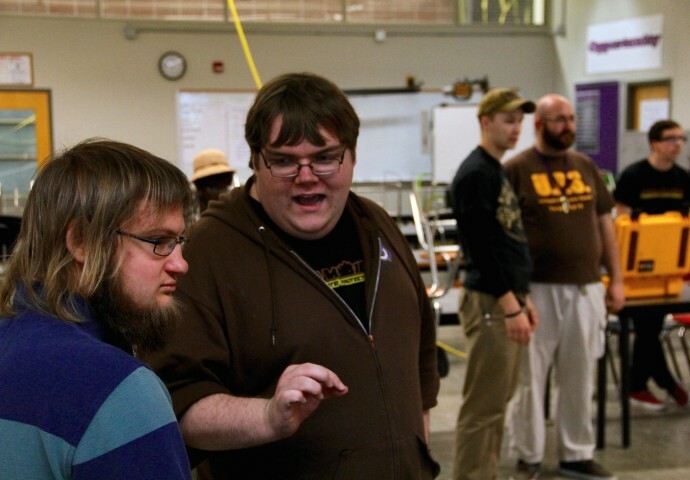 Josh Pardon (center), now a mentor, was on the team as a student in 2007 and said the competition gives students hands-on experience in design, team management and problem solving. 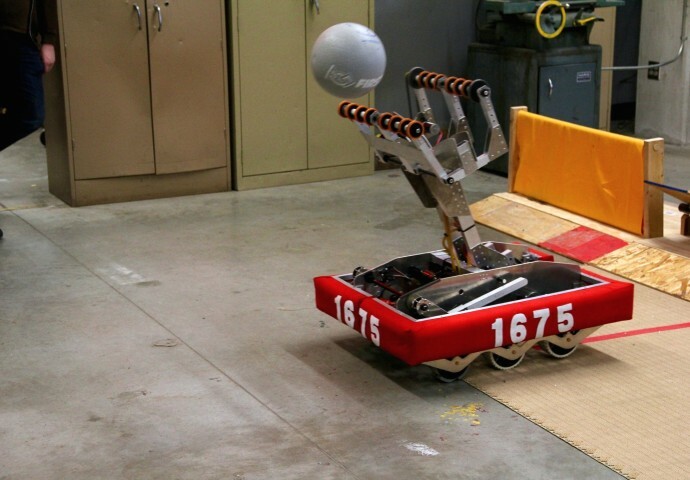 Team 1675, a robotics team made up of more than 40 MPS students from various schools, competes in regional tournaments. 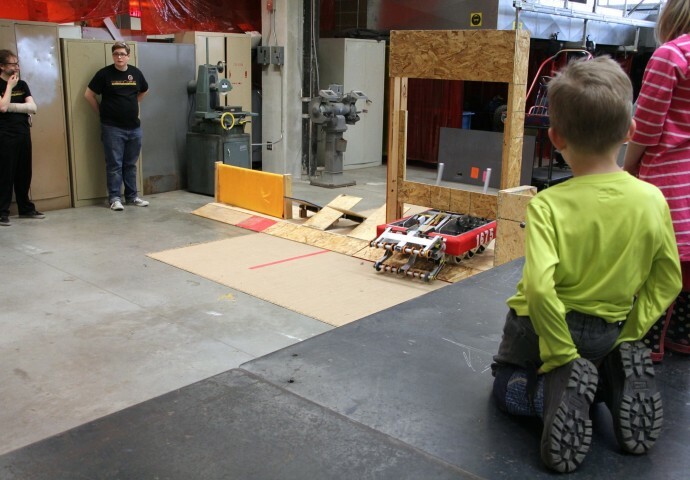 During an open house at Lynde & Harry Bradley Technology and Trade School, community members saw the team practice, learned about the rules of competition and viewed award-winning robots from previous competitions. 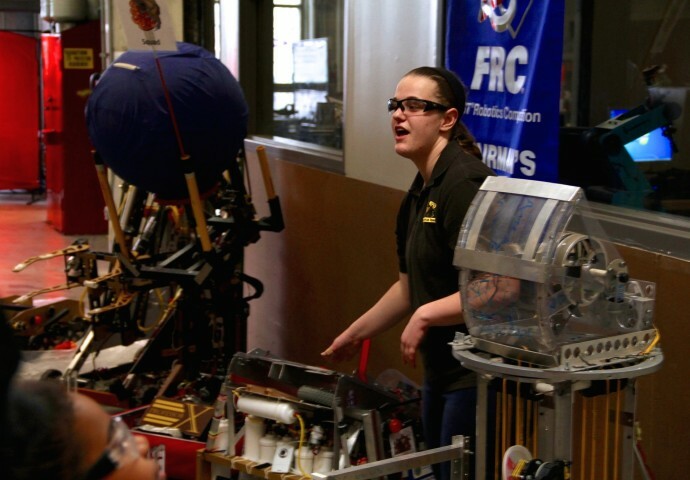 Team 1675 will compete in the St. Louis regional March 10-12 and at a tournament at the UWM Panther Arena March 23-26.